The television season never ceases to amaze. The time team from Timeless traveled back in time to save the suffrage movement and gained an unexpected ally in the process – a ceasefire for one episode. Fear the Walking Dead shocked many viewers and fans with a death for one of the cast members from the series premiere. Lastly, the return of Colony was great and based on the season premiere we are expecting another fantastic season. The new series highlight this week is Safe on Netflix which features Michael C. Hall as a widower who is looking for his missing 16 year old daughter. Finales pick up steam this week with several season finales. The highlight of the finales is The Big Bang Theory which will feature the wedding of Sheldon Cooper and Amy Farrah Fowler. This finale will feature a number of surprises including an appearance from Mark Hamill. 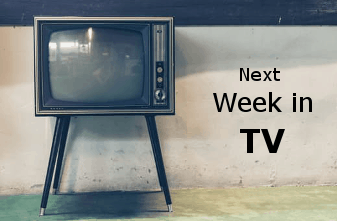 Also wrapping seasons this week are Call the Midwife, Last Man on Earth, Atlanta, Lethal Weapon, Bull, Chicago Fire, Chicago P.D., Blue Bloods, and Young Sheldon. May is the time for the Upfront presentations for the major networks. This is an exciting time for us as we anxiously await for news of renewals and new series announcements. The dreaded ax for cancellations also accompanies the presentations and if last May was any indication the voice of fans may play a larger role. As a reminder USA Today is conducting a television survey (which you can access by clicking here) and we encourage everyone to participate to let your voices be heard. Lastly, the conversation does not end here. Join TV chat on the FoCC forum by clicking here. On-going: Colony, The Rain, Into the Badlands, The 100, Quantico, , Fear the Walking Dead, Legion, Timeless, Killing Eve, Rellik, Agents of SHIELD, The Crossing, Krypton, Jessica Jones, The Blacklist, Blindspot, Supergirl, The Flash, Arrow, Fresh of the Boat, Black-ish, Gotham, Big Bang Theory, For the People, and Netflixing. On-going: Westworld, Into the Badlands, Fear the Walking Dead, The Expanse, Legion, Krypton, Timeless, I, Zombie, Agents of Shield, Gotham, Silicon Valley, the CW/DC shows and Dragon Ball Super. New, Binging & Watching Live: Colony, Cameron’s Sci-Fi, Fear the Walking Dead, Handmaid’s Tail, Expanse, Lost in Space, Krypton, Timeless, Magicians, Deception, Good Girls, Survivor, First Civilizations and Genius: Picasso. Catching up: Walking Dead, Badlands, Hard Sun, Santa Clarita Diet, Sneaky Pete, Runaways, Atlanta, The Tick and Star Trek Discovery. Sweetbitter is a show about the life that happens to you while you’re waiting. A young woman learns how crazy it is to work in a restaurant. Tess is played by Ella Purnell. For more information, click here. Follows two Mexican-American sisters, Emma and Lyn, from the Eastside of Los Angeles who couldn’t be more different or distanced from each other. Circumstances force them to return to their old neighborhood, where they are confronted by the past and shocking truth about their mother’s identity. For more information, click here. Its about navigating the trials and traumas of middle-class motherhood, looking at the competitive side and unromantic take on parenting – not the cute and acceptable public face of motherhood. For more information, click here. After his teenage daughter goes missing, a widowed surgeon in an affluent neighborhood begins unearthing dark secrets about the people closest to him. The series stars Michael C. Hall (Dexter). For more information, click here. The world-famous talking moose and flying squirrel are back in The Adventures of Rocky and Bullwinkle, a comedy about two goofball friends who end up in harrowing situations but end up saving the day time and again. As their silly ambitions dovetail with Fearless Leader’s sinister plans to take over the world, they are set on a collision course with his notorious super spies Boris and Natasha. For more information, click here. During an all-night, lock-in graduation party, a group of new grads will do whatever it takes to make their remaining high school dreams come true. For more information, click here. Fresh voices bring some of the most famous names in history to life. A live-action sketch comedy show based on the series of best-selling books. For more information, click here. Get ready for the lowdown on the British upper class. This five-part limited series based on the acclaimed novels by Edward St. Aubyn tracks Patrick from a privileged but deeply traumatic childhood in the South of France through severe substance abuse in his twenties in New York and, ultimately, toward recovery back home in Britain. At once harrowing and hilarious, Oscar nominee and Emmy winner Benedict Cumberbatch stars as the troubled titular character. For more information, click here.